Over a hundred years there is an argument in the world concerning real radio inventor. But one needs to do a little research to make it clear that Marconi had simply read Popov’s papers. The first known evidence for Marconi to be the radio inventor appeared on June 2, 1896 with his patent application to the UK Patent Office for a discovery, 13 months after Popov had delivered his lecture on radio themes before the Russian Physical and Chemical Society members in St. Petersburg on May 7, 1895. That secret patent application #12039, inspired as they say by the UK Patent Office’s Principal examiner William Preece, the Chief Electrical Engineer of the British Post Office, however contained no diagrams and charts performed by Marconi himself but his lyrical sketches only. Due to the fact Marconi was a half-educated person in physics he was greatly helped by the attached telegraphy specialist, electrical engineer George S. Kemp. The results of their double-work called sometimes “curious” cannot be sorted out even by the present specialists without having A.S.Popov’s layouts and diagrams as explanations before their eyes. 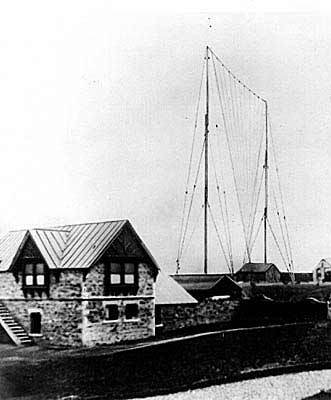 Furthermore while demonstrating his wireless communication system with remote parabolic antennas to the British Post Office’s managing staff and ordinary employees on July 27, 1896 Marconi failed to transmit/receive Morse code dots and dashes though electrical impulses transmission was documented. 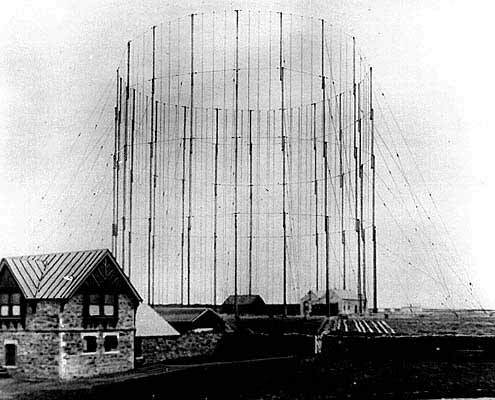 Later on Marconi performed a series of larger scale demonstrations resulted nevertheless in rather questionable outcomes. 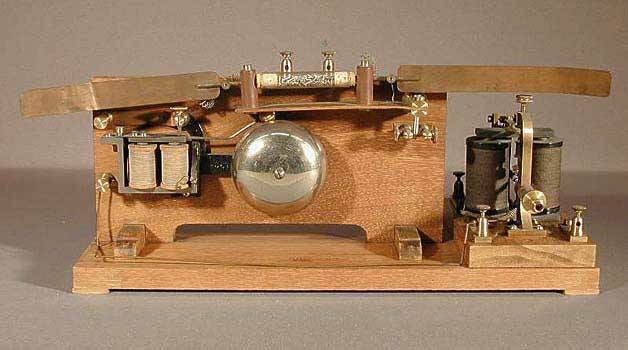 His second patent #12325 Marconi got on May 27, 1899. It was partially similar to the first one #12039 as regards to the elements design and it described several innovative decisions applied for his wireless transmission system which were questionable again. Acctually, many people were involved in the invention of radio transmission (more in http://en.wikipedia.org/wiki/History_of_radio ). The first groundbreaker was acctually Nikola Tesla. Popov was surely first. Just like Mendeleev with Periodic system of elements. Even former russian Sikorsky guy was after Cheremukhin in creating helicopters. West people a good in take patents and make money on it. Russians are weak in this aspect, just imaginationists and besserebrenniks (sorry, no equal word in english). The only thing Popov invented was cheap American vodka with Russian sounding name! What the Hell does six black squares mean? Having been to the Popov museum in Kronshchdat I can safely say that he was indeed first. It was a wonderful lesson about how ‘first’ is often determined not by who first invents, but who first gets to the patent office . tesla has a patent for radio dated 1893, it is widely known that tesla, not popov nor marconi invented the first wireless. This surname occurs from a nickname “Balgarin” It the Bulgarian on a nationality means. There are lots of stuff invented by Russians (and other slav countries like Bulgaria, Serbia, etc), unfortunately the country’s condition and laws didn’t allow them to reach their maximum potential, and most of them left the country to continue their research. Those who were left had to watch others claim their inventions as their own. How did the slavs get to be always controlled by others (communists, socialists, bandits, you name it), while Westerners fought for themselves and are still in the lead (I’m talking about UK, US, Germany who lost 2 wars yet are still in the G8, etc.)? That is an interesting question J, I hope to see some responses too the question from some of our “slav” friends. They are free now though, and I for one am hoping for peace and prosperity for them all. Okay well… HELP… I need a translator on number eleven please! its a shame what you lose when you are commie nation for 70 yrs . So what you are too! Who the fock cares!!! For sure it was Tesla, probably greatest genius in history, and undeservedly uncredited. He refused the Nobel prize because he was offered to receive it and split it with Edison, the guy that had set him up numerous times, a real fake. Tesla made inventions that could benefit all humanity, and Edison and others that had much lesser knowledge and talent were only in it for money and praise. I guess the genius and inventions of Tesla will be appreciated only by generations that will come in future, since he was centuries in front of his time. During the race to electrify the world, George Westinghouse and Nikola Tesla advocated the use of Alternating Current whereas Thomas Edison advocated Direct Current. The benefits of AC is that it is cheaper to produce, easier to transmit over long distances and has the ability to be “stepped up” (or down) with transformers. I have often been told that DC in high voltages is deadlier than AC if you get shocked. I know from personal experience having been shocked by a 90volt DC MacCulloch circuit that DC is no fun. I got blown off a ladder and landed about 10ft away. Gettting shocked by 110volt AC is just annoying. (yes I realize amperage also comes into play here). In any case, to sway public opinion that AC was bad news, Thomas Edison invented the electric chair which put people to death by exposing them to high AC volatages. The idea being to accociate alternating current with death in the public view. It seems to me that the slight distinction of AC vs DC was pretty much not grasped by the general public and Thomas Edison eventually lost the “battle of the currents”. But we still have the electric chair. Whilst on the subject of Tesla, He also discovered how to send Electricity wirelessly. This way being able to offer anybody in the world access to the new technology. (He knew that the earth was a giant conductor, he also found out how to split the earth in half using vibrations, but that is a different story) However when he approached General Electric they agreed to purchase 51% of his invention for around $55,000. Then once the contract was signed refused to release the invention to the public. GE had spent so much in wiring up New York that they refused to throw it all away on new wireless equipment. He died pennyless and undiscovered for two days in NY. The CIA were the first to enter his room and it was later discovered his diaries were missing/removed. A true eccentric and proberly unlikable electrical Genius. He died before the CIA was created. The government did take most all his files. my bad, knew the government got in there first though. China invented sheety take out food. Do not be fooled by these lies, it was I who invented the radio. Yes, yes. It was just before you invented the internet Al. As you said, Popov’s lecture was in 1895. Anyway, I think we can all agree Marconi was a thief on top of being a rotten fascist. One Russian inventor who should get more attention is Oleg Vladimirovich Losev. He laid the foundation for modern LEDs, optical relays and ultra high frequency semiconductor oscillators. Unfortunately, he died in the Siege of Leningrad delaying these fields for decades. The admirers of G.Marconi do not read his own written scripts. In his biographies and in his Nobel lecture Marconi reported, that he started the experiences on wireless communication in the garret of father’s country-house in Italy in June 1895. At the beginning of the Nobel lecture Marconi adduces his first scheme, which couldn’t work. In his 1st and 2nd patents ( published in the Internet), Marconi wrote a lot of physical absurdities. In 1901 Marconi failed to transmit the letter “S” through Atlantic Ocean. But he deceived everybody and he said, that this transmission took place. Marconi told most of all physical absurdities at the Nobel lecture, where he said, that Hertz was wrong, when he had discovered, that radio-waves could transmit through the ether and air. In Marconi’s opinion, radio-waves must transmit on the surface of earth and water, that is a monstrous mistake. In his youth G.Marconi dreamt of becoming a seaman, but he was a weak pupil at school, that is why he failed to enter Italian Naval Academy. In a year he couldn’t pass the exams to Civil Bologna University. Hereon his education came to nothing. Later during the Nobel lecture Marconi said: “I never studied physics or electrotechnics in the regular manner” and had “to use the medium of the English language”. It is known from Marconi’s biography, that he did not apply to the scientific and state authorities with the suggestions about the publication and realization of his scripts. In order to steal away from conscription in Native land, Marconi left his house and went to Great Britain in February 1896. Nothing happened with him on transition through the border in a custom-house. On the 31st of March 1896 Marconi was introduced to W.Preece, the Head of the British Post Office, who liked the handsome Italian. After the familiarization with fantasies of young man, Preece asked the engineering service of British Navy to make up the examination and test software tools of G.Marconi. After that the revision of gear was made in order to adapt it for exploitation. 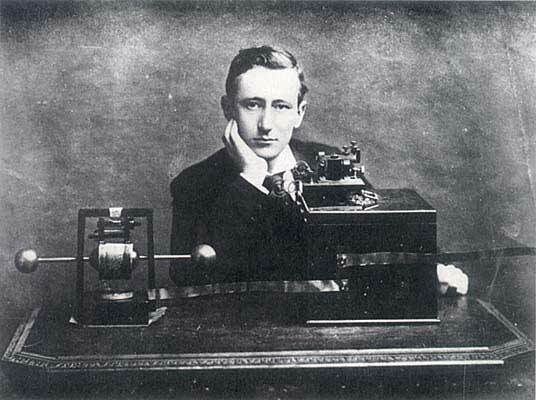 Marconi carried out the 1st test of the wireless system for the specialists of Post Office on the 27th of July 1896. There was used the scheme, which was adduced at the start of the Nobel lecture of G.Marconi. The transmission through Morse code did not take place. Preece and Marconi needed 2 years, only close by May 1897, they succeeded to understand and to copy the scheme of the receiver from the Popov’s wireless system. The test of more ideal gear, they carried out on English Bristol Channel. In June 1897 Preece wrote the article for the magazine “Electrician”, where he published the scheme of the receiver of Popov’s wireless system. It is known from Marconi’s biography, that he did not apply to Italian scientific and state authorities with the suggestions about the publication and realization of his scripts. In order to steal away from conscription in Native land, Marconi left his house and went to Great Britain in February 1896. Nothing happened with him on transition through the border in a custom-house. On the 31st of March 1896 Marconi was introduced to W.Preece, the Head of the British Post Office, who liked the handsome Italian. After the familiarization with fantasies of young man, Preece asked the engineering service of British Navy to make up the examination and test software tools of G.Marconi. After that the revision of gear was made in order to adapt it for exploitation. Preece and Marconi needed 2 years, only close by May 1897, they succeeded to understand and to copy the scheme of the receiver from the Popov’s wireless system. The test of more ideal gear, they carried out on English Bristol Channel. In June 1897 Preece wrote the article for the magazine “Electrician”, where he published the scheme of the receiver of Popov’s wireless system. I must say that your entire blogging site is highly topical. I have been investing a lot of free time for the last last couple months on the lookout at just what exactly is out there in accordance with the actual fact that I’m arranging to launch a web log. The advice you have put on here is largely to the point. It just seems so difficult to understand in regards to all the modern advances that are in existence, but I really like the way your feels. Gotta love where technology has come throughout the last 13 years. It is known from Marconi’s biography, that he did not apply to the scientific and state authorities with the suggestions about the publication and realization of his scripts. In order to steal away from conscription in Native land, Marconi left his house and went to Great Britain in February 1896. Nothing happened with him on transition through the border in a custom-house. On the 31st of March 1896 Marconi was introduced to W.Preece, the Head of the British Post Office, who liked the handsome Italian. After the familiarization with fantasies of young man, Preece asked the engineering service of British Navy to make up the examination and test software tools of G.Marconi. After that the revision of gear was made in order to adapt it for exploitation. Marconi carried out the 1st test of the wireless system for the specialists of Post Office on the 27th of July 1896. There was used the scheme, which was adduced at the start of the Nobel lecture of G.Marconi. The transmission through Morse code did not take place. Preece and Marconi needed 2 years, only close by May 1897, they succeeded to understand and to copy the scheme of the receiver from the Popov’s wireless system. The test of more ideal gear, they carried out on English Bristol Channel. 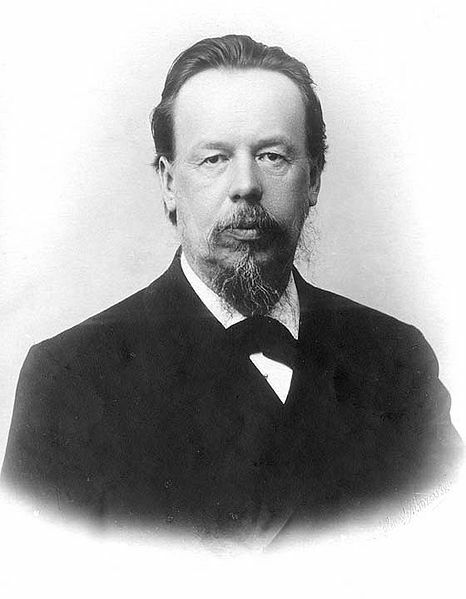 In June 1897 Preece wrote the article for the magazine “Electrician”, where he published the scheme of the receiver of Popov’s wireless system. Guglielmo Marconi was a weak pupil at school, but he had dreams of becoming a seaman. He failed to enter Italian Naval Academy. In a year he couldn’t pass the exams to Civil Bologna University. Hereon his education came to nothing. Later during the Nobel lecture Marconi said: “I never studied physics or electrotechnics in the regular manner” and had “to use the medium of the English language”. It is known from Marconi’s biography, that he did not apply to Italy scientific and state authorities with the suggestions about the publication and realization of his scripts. In order to steal away from conscription in Native land, Marconi left his house and went to Great Britain in February 1896. Nothing happened with him on transition through the border in a custom-house. Indian Scientist Sir J C Bose did a lot of experiment on radio wave well before Marconi. Sir Nevill Mott, Nobel Laureate in 1977 for his own contributions to solid-state electronics, remarked that “J.C. Bose was at least 60 years ahead of his time. In fact, he had anticipated the existence of P-type and N-type semiconductors. As per Indian tradition he neither went for patenting them nor went for self-publicity, hence did not get his recognition from the West. Skin color also mattered.